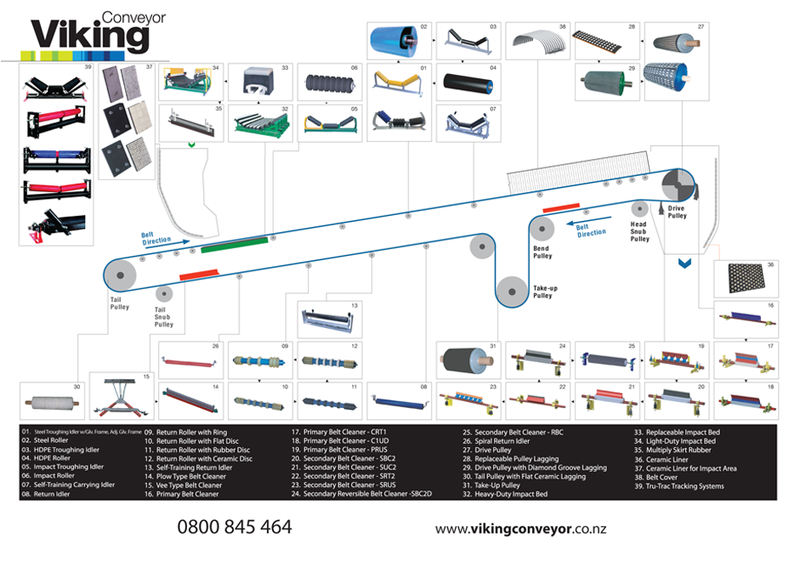 We offer a comprehensive range of Conveyor belt accessories that are suitable for industrial applications. The interactive chart below allows to you take a look at the various components available. If you need any advice call us on 0800 846 464 or fill in our contact us form - we are here to help. Our Interactive Wallchart is best viewed using a screen resolution higher than 1680x1050 and compatible in the following browsers: IE8, IE9, Firefox, Safari,Opera, Chrome.